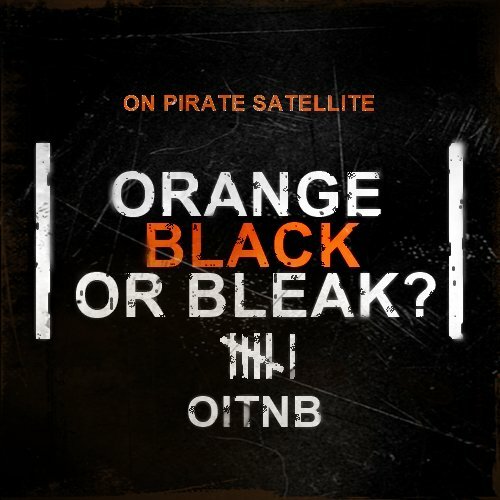 This is the 70th entry into my deep-dive into the Netflix show Orange Is The New Black from the perspective of a formerly incarcerated person (now 2 formerly incarcerated people). I hope you have been listening to my podcast Decarceration Nation, last week I had a discussion with Beverly Parenti, co-founder and Executive Director of The Last Mile. I am totally in the tank for The Last Mile, they train people in soft skills and next economy skills and create on-ramps for employment after release. On Monday I am publishing my interview with Julian Adler co-author of the book “Start Here: A Road Map To Reducing Mass Incarceration” and Director of Policy and Research at the Center for Court Innovation. We are on iTunes, Google Play, Spotify, Stitcher and now Tune-In (which means that you can simply tell your phone to “play Decarceration Nation” and it should play the most recent episode). You can also find every episode at DecarcerationNation.com. Remember, the whole point of this is you get two recaps for the price of one (well it's free, but you get the point). Kathy's recap comes first and my traditional "Five Things" recap comes after hers. This week, as an extra added bonus, we even have my short Twitter discussion with the real Piper about a recent protest she was witness to (around the August 21st prison strike). What is more perfect than holding the draft for “Fantasy Inmate” on mischief night as Luschek's house is under siege by the neighborhood kids (bombing it with eggs, toilet paper and other unknown liquids) - the “team owners” all bravely pass through this assault to attend the “first” actual in-person “draft” of the league. It’s interesting to see these fools out of uniform and to see them as ordinary people, they put that uniform on and it gives them this power, not like Superman because they are certainly no heroes! Luschek has a surprise up his sleeve, something he has been working on, rather something he hacked online. With futuristic music playing, he presents the ‘visual inmate draft’...watching these nincompoop officers participate in this ‘draft’ and then intentionally set-up the “players” just to score points at works is absurd. But more importantly, it shows the extremes they will go to just to win at something. Ruiz continues to be isolated and just by looking at her you can tell she can no longer take it, she has reached that breaking point, and I can understand and completely appreciate that. During her job cleaning bathrooms (I too had that job n the visiting room, nursing home floor of the inmate hospital, and at a housing unit) there where many times when I would go into the stall just like Ruiz did and cry out of frustration and out of being overwhelmed, But I never had someone come up behind me who tried to shove my face in the toilet to drown me...still shaking off that feeling today after watching it last night. What lives and thrives in the air vents within correctional facilities. Commonly referred to as the “air telephone” which inmates use to shout through to the cell in the floor above or below or using a string or a strip from your sheets so you could pass snacks or notes or other items when we were locked in our cells during lockdown which sometimes could run hours or even days. Knowing that it is possible that rats could flourish in this catacomb of vents - no I cannot think about it (I do not like vermin). Throughout the facility, they have these huge 3 inch high black boxes with 2 or 3 holes in it that are rat traps so I have hope that the air vents in the facilities where I was did not have families of rats living in them. However, I took great pleasure when those creatures were used to play a prank, captured and relocated to the cheese packing room when the cleaning crew came in, payback for what I am not too sure, it was all part of the weird mischief night activities at Litchfield. Suzanne (over in Florida) just wants a friend, she just wants someone to go out in the yard with, get some fresh air, see the sky and clouds and the only one on the unit she knows is Frieda. Forget that, Frieda is not the warmest and fuzziest of individuals. Mischief night comes to Florida as we see Frieda’s cellmate being wheeled out of the cell on a stretcher with her body and face covered by a sheet. Just so you know, when an inmate dies in their cell (yes I have been a witness to this on more than one occasion) the facility is required to leave the body there, the unit is placed on lockdown and all are required to remain in their cells while the outside authorities (police and medical examiner or coroner) come in and conduct an investigation of the ‘crime scene’ then the body is removed in a black body bag by the medical examiner. Once this is done everyone is released from their cells and life on the housing unit continues as if nothing out of the ordinary happened. Suzanne seeing the dead body removed from Frieda’s cells seizes on the opportunity to suggest to Frieda that they become cellmates, well Frieda is having no part of this arrangement until hours later when Suzanne comes into her cell with this small bundle of shivs, well at least Frieda is sharp enough to realize a shiv and it’s usefulness, while Suzanne merely thinks of them has slats for a fence. Frieda is suddenly warming up to having Suzanne as a cellie - and those shivs might come in handy. Kind of a transition episode, not as much meat as many of the other episodes this season (and the stuff with the rats and cheese was, frankly, kind of silly). While we were busy watching the ladies at Litchfield decide who gets to continue with the premium cheese packing work...there was a real Prison Work Strike starting across the entire country. Before I move on, let me mention that the notion that you would hire inmates to package cheese is totally ridiculous. Think about it, no matter how little you paid the women it would cost more, be less efficient, and able to handle less volume than a co-packing or packaging facility. If the writers literally wrote this only so they could make sense of their rat joke, that is kind of sad. Anyway, on August 21st, real prisoners across 17 states began the National Prison Strike. If you have been reading these recaps for a long time, you already know that these stories rose out of the response to the Lee Riot in South Carolina and that I am a strong supporter of this strike. While I have been happy with the large amount of national coverage, much of it has been pretty shallow. While it is true that the strike is about human rights and ending slavery (forced work for no pay) in prisons...There are actually TEN important demands. If you are wondering, yes there are things that you can do to help. Should we take a second to celebrate the end of the Donuts + Doggett? I guess it is not impossible to understand why she was drawn to him (she had been abused and abusive relationships most of her life) but it was painful to watch and not particularly helpful that she took so long to come to her senses. I do believe people can and do change, that with specialized therapy people can change, and that this is true even with sexual and violent pathologies. On the other hand, as near as I could tell, Donuts never engage with a therapist who specialize in his kind of problems (anger management, violence, sexual violence). Most people don’t get better through magic or divine intervention, hard work in therapy is necessary (and yes, I have myself spent many years in therapy throughout my life). Anyway, glad this toxic and problematic relationship has finally come to an end. Extortion, like what Badison perpetrates on Piper, is a very real thing. I got very lucky, the person who ran my block liked me when I was a new inmate and so I never got extorted (very lucky), but plenty of other folks I know did. In fact, there would always be one person working in the commissary who would inform the people doing the extorting of any new folks who were getting large bags (in Michigan, you get your order in plastic bags). If you have particular value, you can sometimes get a free pass. For me, I would sit and talk business with the boss of my block, for Vause she has to set up a scam for Badison. This is exactly how these things work (in my experience). Yes, PTSD is a real thing for Correctional Officers but it is a HUGE problem for prisoners too. I myself suffer from mild PTSD and I know people (who did much more time) who have serious PTSD issues. If you think about it, while the CO’s are at some risk, prisoners are constantly at risk from both other prisoners and CO’s at all times. In addition, at the level one facilities I was housed in there were no cells or ways to protect yourself from other people. Where I was incarcerated we were all in pole barns with 159 other inmates. We were all out in the open on bunk beds. Anyone could attack you at any time (when you were asleep for instance). There was no time you could just relax and get a good sleep. In addition, we would see violence virtually every day. After surviving a riot in which she was kept as a prisoner and was abused emotionally and physically (even forced to perform on stage like an animal) CO McCullough would be a total wreck. I don’t know much about how private prisons deal with trauma for employees (probably poorly but it is possible they would understand returning someone too early could open them to even more liability suits). I am just guessing here but I suspect that they would not allow her, or any of the other CO’s from the riot, to return to service unless a therapist had signed off on her state of mind (strictly for legal reasons). One thing I learned in prison? Damn near everything can be made into a deadly weapon. Frieda was right to take what was certainly a dangerous contraband ticket from Suzanne (although Suzanne isn't that stupid, she gets basic prison rules). At one point, the DOC came and took away a fence being used as a softball backstop at one of the facilities I was housed at because so many people had used it to create weapons. Toothbrushes, peppers, electronic devices, any piece of plastic..Even after what must have been hundreds of years of trying to weed out everything that could be deadly...damn near everything can be made into deadly weapons. Prisons and jails are just a total mess.